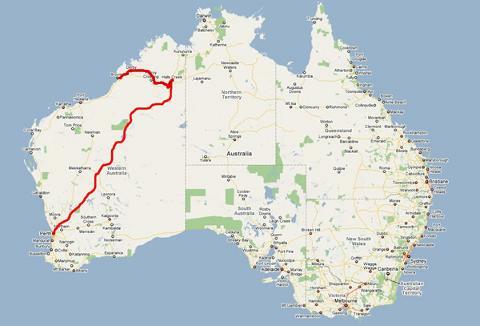 The Canning Stock Route or CSR is the last “Great Off-road Ride” in Australia. With over 1600km between towns this is as remote as adventure riding gets. We only take a max of 10 bikes total on this trip so ‘First in Best Dressed’. The first couple of days are a warm-up for what’s to come. After day 2 from Fremantle we hit the sand and the Adventure starts. 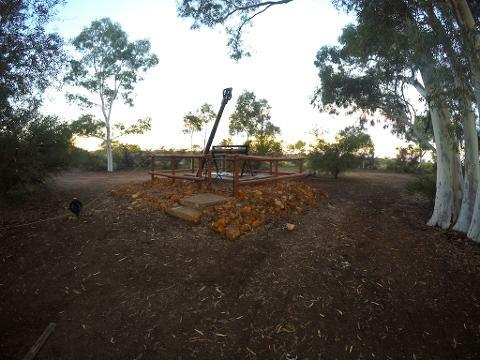 Each night we camp by a well or a water hole so there is a chance to rinse the grit out of your teeth. After an 8am Hotel pickup and safety briefing we wind our way out of the city and into Western Australia’s wheat-belt. Traveling along country dirt roads and passing through numerous small towns we arrive at our overnight camp at Lake Moore. Our first morning in the bush starts with a big breakfast while we sit around the morning campfire. After breaking camp we continue north to the old gold mining town of Payne’s Find for a refuel. We continue along wide dirt roads to Sandstone for another refuel and a beer at the great old pub. After lunch we get offroad and checkout some old gold mines on our way to our overnight stop in Wiluna where we fuel up, as it’s our last opportunity for a week. This our first day on the Canning Stock Route. We visit wells 1, 2, 3 and 4. The track is quite good with small patches of sand and some rocky stretches. 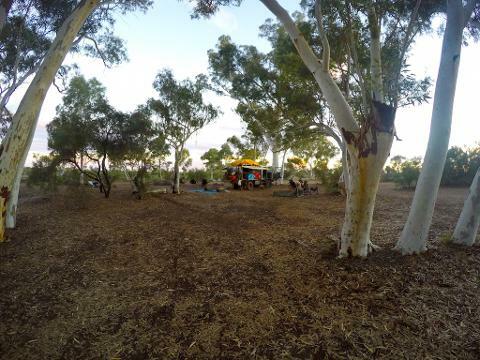 We continue on to Pierre Springs (Well 6) for our overnight camp under the tall Red Gums. Today the track gets a lot rougher with long rocky stretches and deep sand in sections. We see our first sand dunes and there are usually camels about. The riding today is spectacular, with long open stretches and some challenging sand riding. We visit wells 13, 14, 15 and 16. We turn off the main CSR track and into a canyon. The final stretch of track is rocky but well worth it when we arrive at our overnight camp at Durba Springs. We get back onto the CSR and continue north. 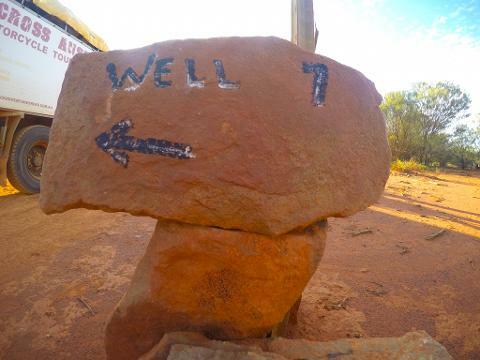 We check out Well 17 and Killgurra Spring. The track in is very rough and a great ride. After well 18 the going gets sandy. Very sandy with tall dunes and amazing riding conditions. After a heap of dunes we arrive on the banks of Lake Disappointment. We bypass well 20 and check out wells 21 and 22 before arriving at our overnight camp at Georgia Bore. There is a plentiful supply of good water here so there is a chance for a hot shower and we also refill our water tanks. It’s a great spot to relax for the day, do some washing or read a book while your bike gets serviced. The dunes today get bigger and the track gets narrower with ‘Slappy Sticks’ lining the edges. It’s a great ride all day without many rocky sections. We visit wells 23 to 29. Most are in ruins but worth a look. We stop at the restored well 27 for lunch then continue over the many dunes and the ever-winding track to our overnight camp at well 29. After crossing a lot of dunes early in the day the track turns very rocky. We pass well 30, 31 and 32 then the dunes start again for an awesome afternoon of riding on our way to Kunawarritji Community. This is our only fuel stop on the CSR and we fill everything to the top. It’s also our only opportunity to get fresh supplies of food and some ice. We leave the community behind and head a few kilometres north to Well 33 to resupply our water tanks and our overnight camp not far away. The track is very corrugated first up this morning until we get Well 35 then the dunes start again. We continue over dunes and on winding sandy tracks before reaching Lake Tobin. After crossing the dry salt lake we reach our overnight camp at Well 40. The dunes continue and we enter the windiest section of the CSR. Apart from a straight section between Well 43 and well 44 we spend the whole day on the most amazing motocross track ever built. We pass 2 salt lakes today befer we arrive at our camp at the restored well 46. Today is an easy day on the bikes. We start with a few hours of dunes then it gets rocky as we head for Breaden Pool our overnight camp and our last camp on the CSR. With the dunes well behind us now the landscape opens up as we head further north. We visit Billiluna Community then on to Wolfe Creek crater for our overnight camp. After a pre dawn walk into the middle of the crater and a big breakfast we make our way on wide dirt roads to Halls Creek to resupply for our last 2 days. We make our way to the campgrounds for a well-needed hot shower after 12 days in the bush. Heading west now and back onto small station roads we head for our last bush camp of the trip just south of Fitzroy Crossing. 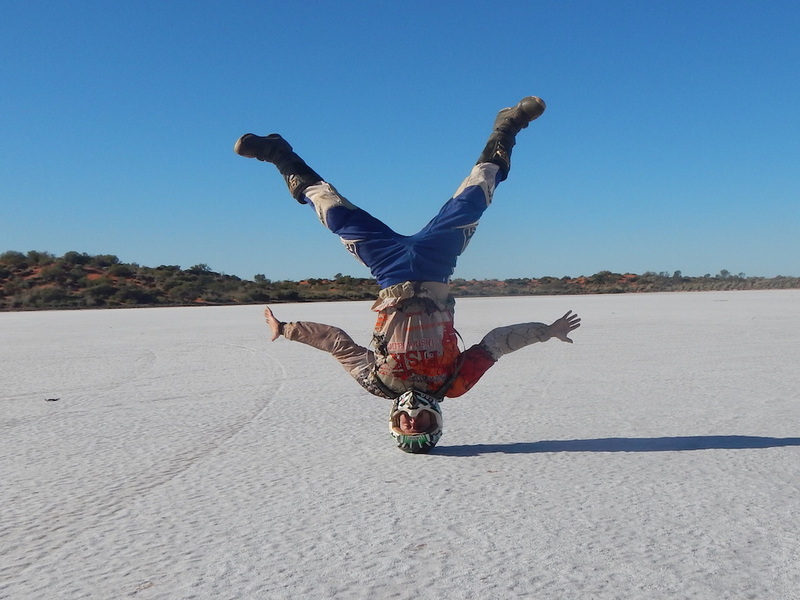 We are back into some sand riding today as we skirt the northern edge of the Great Sandy Desert. The riding is fantastic with small dunes and amazing scenery. The last few kilometres into Broome is on black-top as we head for the Roebuck Bay Hotel and cold beers.